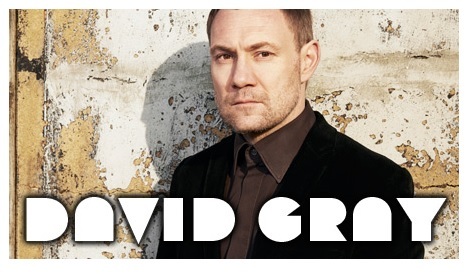 Twenty one years since his first studio album, David Gray's tenth and latest, Mutineers, finds the singer-songwriter steering into unfamiliar territory "I think if you're going forward with an open heart, good things will happen," says David. "You have to sort of tear up the past and let it go." David's past includes the phenomenal success of White Ladder with 12 million album sales worldwide and 16 years after it's release it is still the bestselling album ever in Ireland with seven million copies sold. Four years after the initial release of 'White Ladder', Gray followed up with 2002's 'A New Day at Midnight'. His 2005 album 'Life in Slow Motion', achieved similar success and also gave Gray his biggest chart hit to date in the US. The career-spanning Greatest Hits followed later that year, featuring two new tracks as well as Gray's most popular numbers. Mutineers is an experiment that seems to fizz with the joy of its own assembly. The sound of a musician making a clean break and some sharp turns but also reconnecting with the freedoms of an earlier dream, a rebuke and a salutation to all that's gone before. For tickets check out the Royal Theatre site.